Anyone who had a radio in the 1980's remembers the distinctive sound and the hit songs of the Go-Go's. Their album "Beauty and the Beat" went multi-platinum with hits like "We Got the Beat" and "Our Lips Are Sealed." 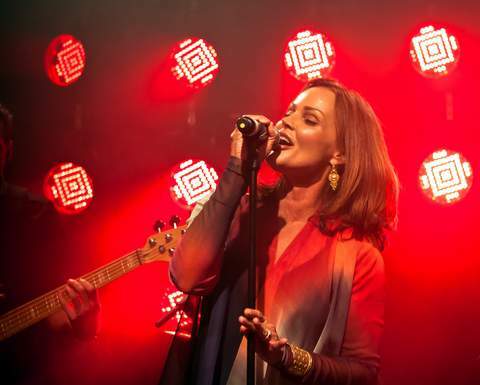 Go-Go's founder Belinda Carlisle went on to success as a solo artist with gold and platinum selling hits like "Heaven Is a Place on Earth" which topped the single charts in both the U.S. and the U.K.
We asked Belinda Carlisle several questions about her life and her upcoming show at the King Center in Melbourne, Florida. What's the best thing about touring through Florida? It's beautiful and I have a lot of good memories of the past 30 years of coming through the state. I love the beaches and of course the people too. I have had some very good times there. Music has always been my life. I remember when I was a little girl listening to California radio and singing along from morning to night, literally - - - day after day. This was during the summers. Through the years, it's always been important obviously from a career point of view but also I never not-have any music playing when I'm not working. What can a first-time audience member expect from your show? Most of the set is music from my back catalogue - - - all the hits from my solo albums. Of course, I do a few Go-Go's songs and a couple of covers. I think that fans come away from my show happy and satisfied. How much do you love / enjoy what you do for a living knowing that people love your music? I realize I'm very lucky to have a profession where I'm able to bring people joy. That I love what I do, that's a blessing also. We have a large LGBT readership, what do you think of the never-ending, religious-freedom political attempts to circumvent marriage equality? I've always had more gay and lesbian friends than straight friends and now, of course, I have a gay son who has been an activist since he was 14. When he came out to me the first thing I thought was 'how he is going to be able to cope with a homophobic world?' I do think though that a lot of progress has been made and have to hope that with time it will just keep getting better.